They also ran back to their starting point, closing the loop in 7h35m (28 miles, 10,300' gain). The return route included running back from Chautauqua to Sanitas on city streets. Here is a profile of the entire run. 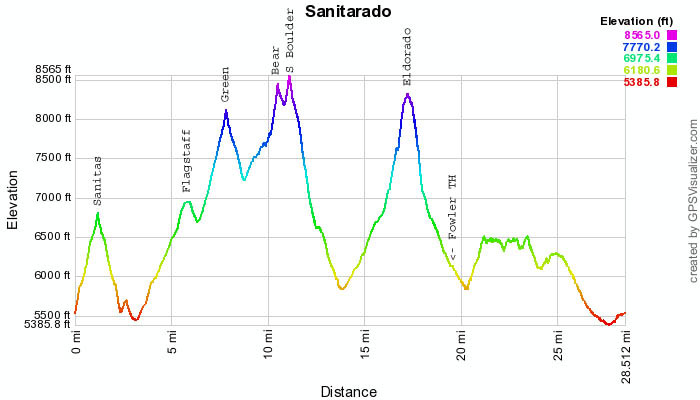 The first 19 miles or so are the TH-to-TH Sanitarado (ending at Fowler TH).